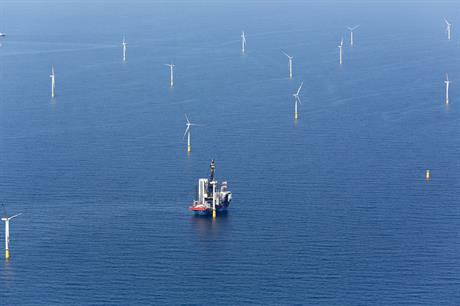 GERMANY: The final turbine at the 288MW DanTysk project in the North Sea has been installed at the site 70 kilometres west of the island of Sylt. All 80 Siemens 3.6MW turbines were installed in less than five months. Installation was delayed for more than a day due to fog, but joint-developers Vattenfall and Stadtwerke Munchen said good weather since then had helped the rapid installation. Squire Blue Ocean's Pacific Osprey jack-up vessel was used to install the turbines. Swedish firm Vattenfall and German utility Stadtwerke Munchen are also working together on the nearby 288MW Sandbank offshore project. DanTysk is due to come online by the end of this year.